Adam C. McKee is an accomplished photographer, retoucher, and digital artist who brings his passion and creative problem solving to every task. Adam freelances as a photographer, digital imaging specialist, and graphic designer, creating portraits, posters, and digital graphics, mostly for advertising. Adam worked as a Lead Stereoscopic Compositor at Legend 3D Inc. and has worked on movies including Pirates of the Caribbean 3, Transformers 3, The Amazing Spider-Man, Man of Steel. Adam specializes in digital imaging and post-production with a focus in beautification. Through countless hours of work and practice he has developed a unique set of skills that enable him to produce imaginative solutions to achieve the highest quality imagery while maintaining strict deadlines. 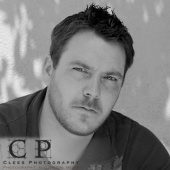 Worked with Clees Photography? Share your experience and become verified!